On Saturday morning the Wilcox Chargers lost a pair of games to kick off the Los Gatos-Saratoga Tournament. However, despite the losses, the Chargers scored six runs in each game. Combined with the eight runs they put up on the board in their previous contest, the bats are clearly plugged in. Martinez threw out multiple runners in the 9-6 loss to Half Moon Bay. However, the first attempted steal was stolen without a throw as the Chargers’ infielders didn’t communicate that the runner was in motion. Against Half Moon Bay, the Chargers gave up the first run of the game in the top of the first, but went on to take leads of 4-1, 5-3 and 6-5. In addition to Martinez’s big knock in the first, cleanup hitter Ameryss Meza delivered clutch RBI hits in each of the first two innings. In the second inning she extended the Chargers’ 4-3 lead to 5-3, with a two-out, RBI single. 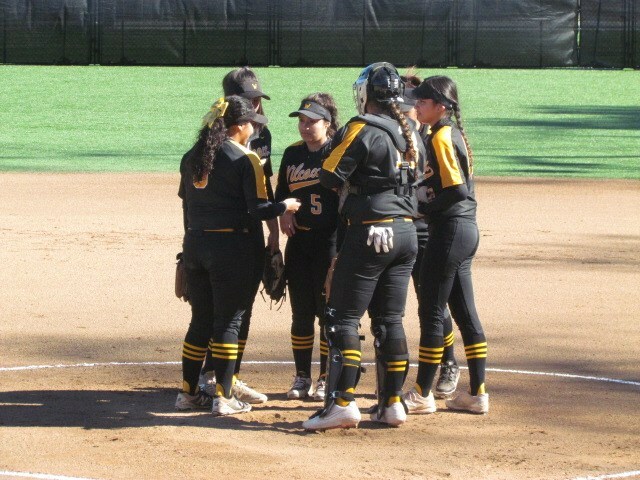 Wilcox would end up losing their league opener against Milpitas on Tuesday, falling by the slimmest of margins, 4-3. The Chargers will try again for their first win of the season on Thursday, March 21 when they host Los Gatos.